Back in August I did a post about a promising new talent named BC Jean and I'm embarrassed to say it's taken me since then to do another post about her. Back in September, BC released her debut single, "Just A Guy," on J Records. Co-written by Jean and The Matrix, the song was produced by Ryan Tedder and seemed to be a pretty good sample of what we can expect from her debut album. The song is a feisty, girly anthem that showcased BC Jean's attitude and as well as her songwriting and gritty vocals. 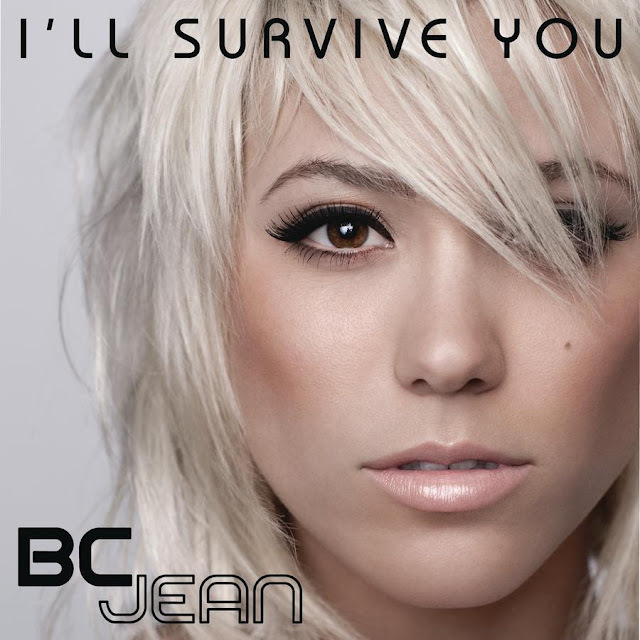 Back in April, Jean released her follow up single, a lovely ballad called "I'll Survive You," that allows a completely different side of BC Jean to shine, vocally speaking. Co-written by Max Martin, Savan Kotecha and Shellback the song shows a more vulnerable side of Jean, sounding a bit like a blend of Avril Lavigne, Kelly Clarkson and Kimberly Caldwell. BC Jean is working on her debut album with talented producers and songwriters including Dallas Austin, The Matrix, Toby Gad and more. We can surely count of some more quality songwriting from Jean herself, who penned Beyonce's hit single, "If I Were A Boy," along with Gad. Jean's album is expected out sometime later this year. Download "I'll Survive You" on iTunes HERE as well as her original single "Just A Guy" (HERE). You can also snag "Anyone," another BC Jean ballad (HERE). 19 year old pop star Alexis Jordan is really holding her own, considering how young she is. Jordan is set to release her third single, "Hush Hush," on June 12th in the UK. Taken from her debut self-titled album, "Hush Hush" was written by Autumn Rowe, StarGate and Sandy Vee and produced by StarGate and Vee. The single is an up-tempo club song in the exact same vein as both of Jordan's previous singles, "Happiness" and "Good Girl," both of which topped the U.S. Billboard Hot Dance Club Play Chart despite receiving little to no promotion. That's pretty impressive! The song, while not yet released digitally, has already managed to chart in both Ireland and in the UK, debuting at #49 and #163 respectively. I anticipate the song to climb significantly higher after it's June release. I mean there's no reason for it NOT to, right? It's just as hot, if not hotter than both "Happiness," which peaked at #3, and "Good Girl," which peaked at #6. Check out the Clifton Bell-directed music video below (U.S. readers click HERE for the video) and get ready for "Hush Hush," due out June 12th on Star Roc/Roc Nation Records. Look for remixes by Tom Neville, Cahill and Full Intention.